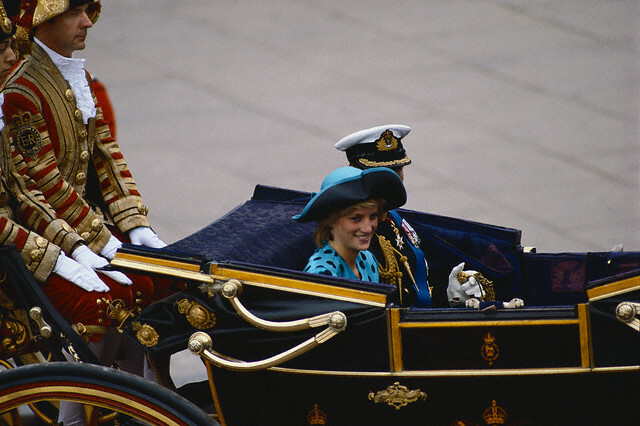 Princess Diana and Prince Charles ride in a royal coach to the wedding of Prince Andrew and Sarah Ferguson, Duchess of York. 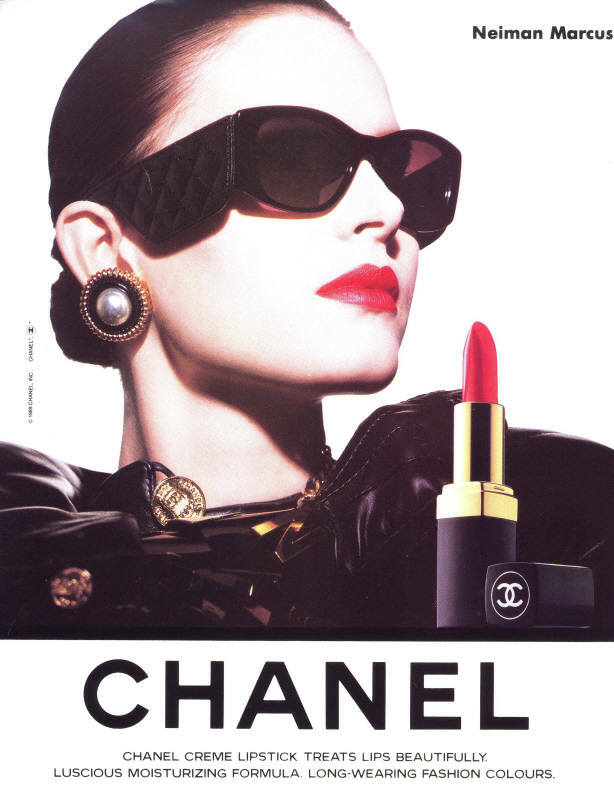 These earrings are from Butler and Wilson. 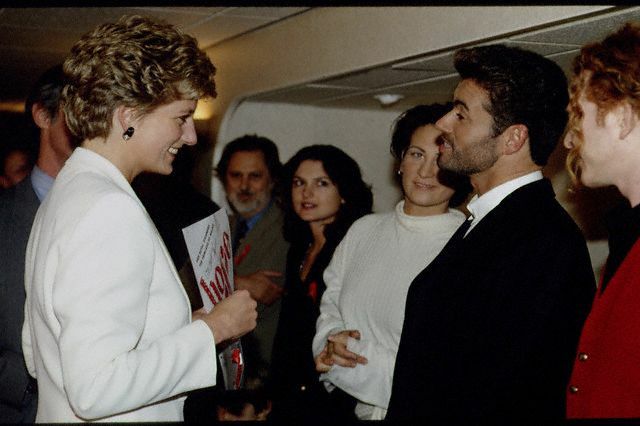 Diana, Princess of Wales, talking to pop star Bryan Adams during a Gala Entertainment Evening at the Expo 86 Theatre. 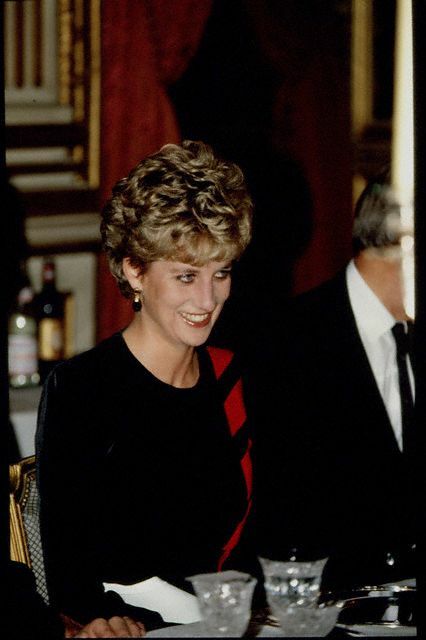 The Princess is wearing a Jasper Conran trouser suit with a white ruffled blouse. 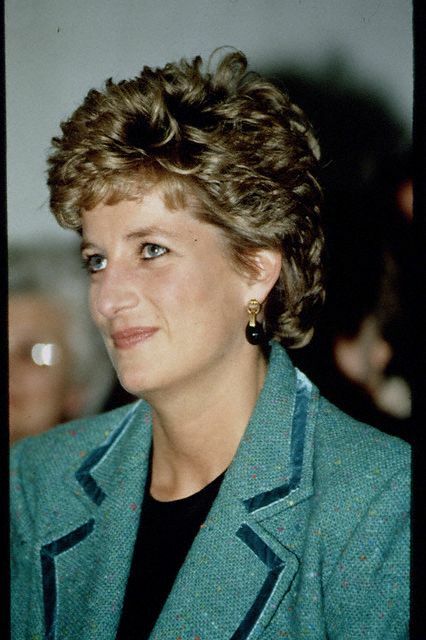 On her lapel she has pinned a Butler and Wilson brooch resembling a snake. 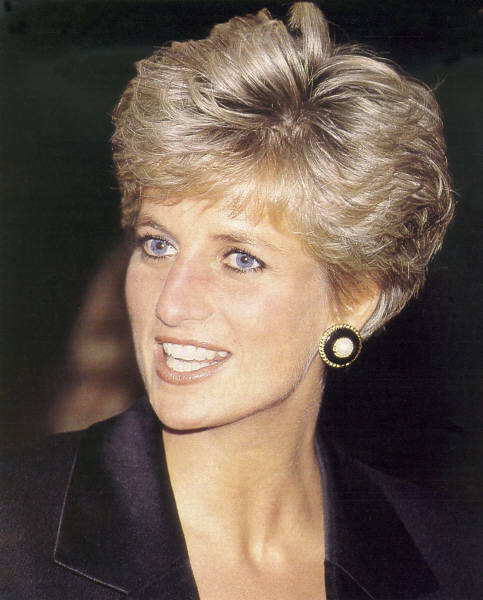 Picture scanned from 'Debrett's Illustrated Fashion Guid, The Princess of Wales' by Jayne and Terry Finger. Thanks to VeronikaN for providing this photo! 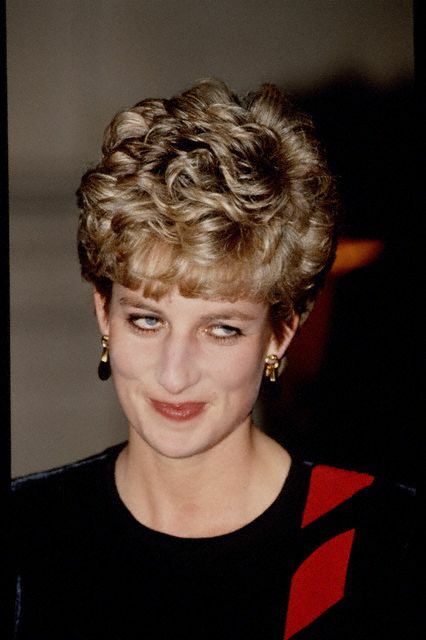 Photographers take pictures of Princess Diana and Prince Harry(Henry) as they arrive at the Palace Theatre to watch Prince William in a school Christmas play. 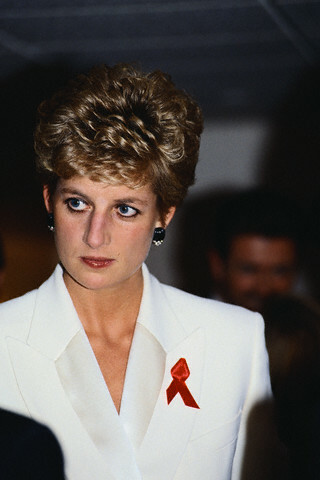 Princess Diana attends Concert of Hope, an AIDS benefit concert at Wembley Arena. 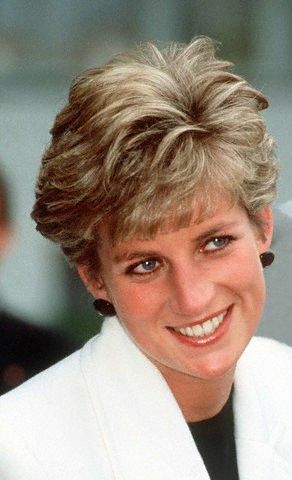 From Squidgy, The Royal Forums Message Board, Princess Diana Jewelry Part 2 Thread. 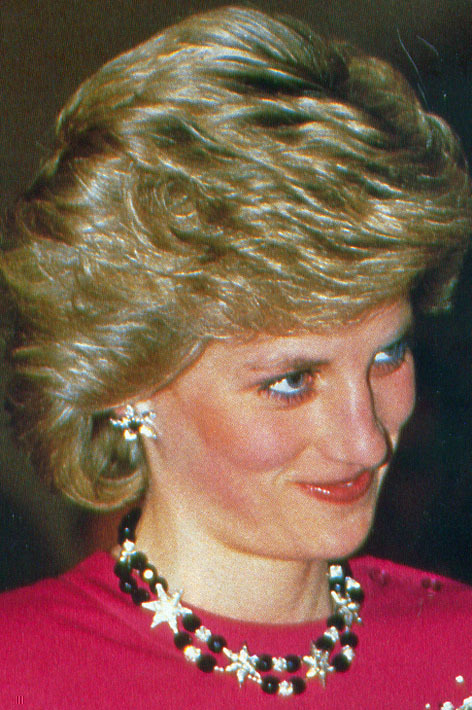 Picture from The Royal Jewels of the World Message Board. If this is your picture, please let me know so I may give credit. 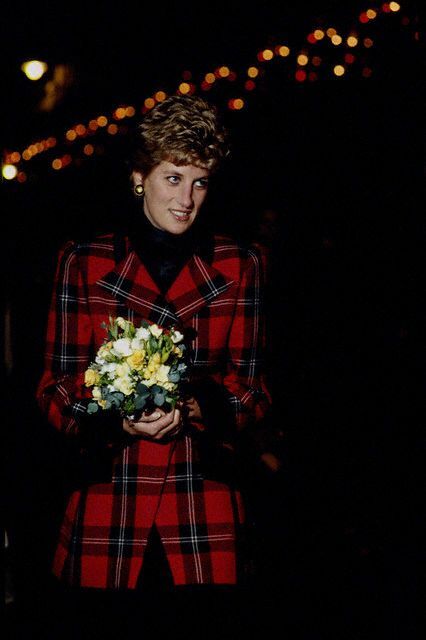 Princess Diana receives bouquet of flowers at a Supertramp concert.